This post isn’t going to be about creating gigs, promoting them, and growing your Fiverr reputation. Rather this article is going to be about what you need to do right now so that you’re making money off of Fiverr in 2-5 years. Here’s the current Fiverr scene. It is ranked about 160-180th most popular site in the world. Recently all Fiverr members have been voting Fiverr as the Best International Startup company for the crunchies. This means that if Fiverr wins that award, the site’s name will explode with popularity. If that’s not enough, Fiverr just released a new feature that allows buyers to easily share the work they received from gigs. This means that Fiverr links are going to be sprouting up all over Facebook and Twitter further promoting the site. More Google searches will start incoming for the keyword “Fiverr” and the entire internet will be hearing about this amazing site. That’s probably the best news any Fiverr seller can hear nowadays. Fiverr is going to face exponential growth and so will sellers’ gigs. Look at Facebook, Twitter, Freelancer, Elance, 99designs, to see what I mean. Exponential growth in the Fiverr community will directly effect sales. For that reason it’s important to get your Fiverr gigs as popular as you can now. Because the more popular Fiverr becomes the more your sales are going to go up. If you have tons of buyer feedback and a great gig, chances are you’re going to get more sales than the seller who has 0 feedback. Sure you might be saying “Yeah Octavian all sounds great, except for the fact that new buyers will start to sprout up as well.” Yes that’s correct. 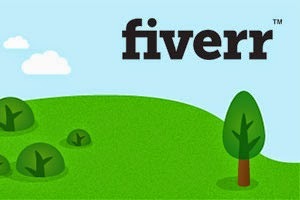 If Fiverr becomes more popular we will see an influx of new sellers and buyers. Luckily for us only about 5-15% of Fiverr members are sellers. Furthermore new gigs mean nothing. They might start showing up in the “recent’ category, but the “Top Rated” and “Haz Video” and even search results won’t be effected much for the gigs that have tons of feedback. That means that popular sellers will only be effect positively Competition isn’t going to change much. New copycat gigs are made everyday but in the end it comes down to the reputation of a gig. Fiverr alternatives sprout up every single day and no one goes to them because they have no user base. Similarly copycat gigs will be created more and more when new sellers arrive, but in the long run it won’t mean much for established sellers. So what are you waiting for? 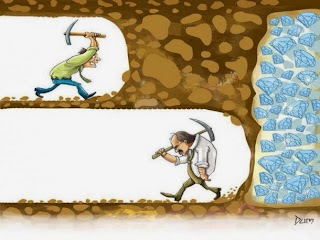 Go out there and expand your Fiverr business. Sellers will see a definite increase in sales soon, and in a couple of years we will probably be selling more than two times as many gigs as we sell now!